Andy Polaine is Group Director of Fjord Client Evolution at global design and innovation consultancy Fjord. He has been involved in interaction design since the early 90s and was co-founder of the award-winning new media group Antirom, in London. He was a creative producer at Razorfish, and later Interactive Director at Animal Logic. He has a long career as an academic and independent consultant in design and innovation with clients across a broad range of industries, including finance, public services, insurance, telecommunications, automotive, media, design and education. 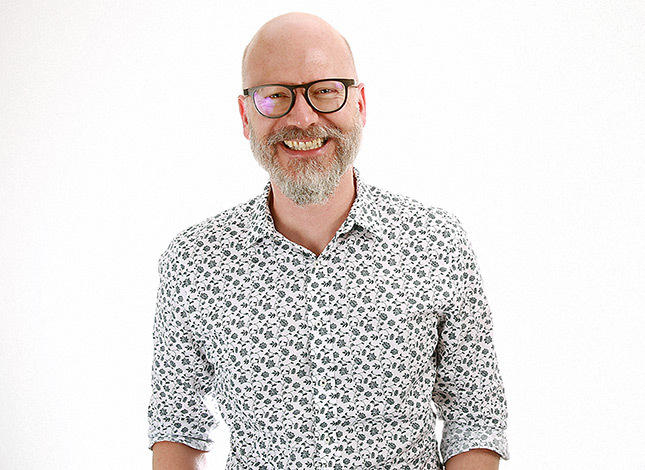 Andy was Senior Lecturer and Head of the School of Media Arts at The University of New South Wales, Sydney before moving to Germany and holds a PhD from the University of Technology, Sydney in which he examined the relationship between play and interactivity. He was Lecturer and Researcher in Service Design at the Lucerne School of Art and Design in Switzerland. He has written over 160 articles and papers and co-authored one of the most known Service Design books: 'Service Design: From Insight to Implementation'. Our industry has become addicted to speed. We lack long-term thinking and deep reflection, yet many of the essential services in our lives – finance, mobility, communications, healthcare, welfare – are services that existed long before any of us were born and will be around long after we die. It’s a sobering an humbling thought and designing them requires care and humility. Now that designers are working in these spaces, it’s essential we avoid unintended consequences at an unprecedented social scale. Sprinting may be great during production, but nobody sprints a marathon without suffering terrible side-effects. This talk takes a stand against the sprinting metaphor and offers a different model for a more mindful, cadence in service design.